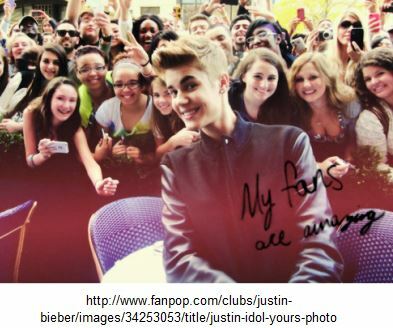 www.JustinBiebersBestFanclub.com | I LOVE Justin!!! How come nothing was said when the song first came out? It was a big hit so I’m sure the “creators” would have heard it and would have been like “oh wait this sounds familiar. Oh this is our song! !” But noooo they wait until way later on as if your life isn’t already stressful enough to try and pull this?? Don’t worry Justin I do not believe them. Besides Usher gave you the song and he DOES NOT come off as the type to steal. Why would he when he is as talented as he is?? He doesn’t need to steal songs when he makes songs just as beautiful if not more. They are just mad Justin. These people wait until you become a huge star so that when they try and say you stole something they can actually become famous themselves. Idk how many times I have to say leave Justin Bieber alone!! Like really he is such a great guy, he has done nothing wrong and does not deserve all of this. When Justin is in the news people need to talk about how wonderful he is, not all the things they think they find wrong with him. I guess that’s just what it is like to be a superstar. And yes I said superstar, have you seen one of his concerts lately, they are freakin packed! Fortunately with that evidence we can see that not everyone hates him, and all these stories cannot turn us real #Beliebers from our amazing Justin!! He will always be my Baby, Baby, Baby no matter what. And its not hard to be a fan seeing how all the things said about him are just so ridiculous. Like really they will try and find anything those jerks!! “ Justin Bieber helped that old lady across the street when the light was yellow! !” Justin I hope you are at home laughing the way I am. You must know deep down who your real fans are (MEEE) and I hope we make it all worth it for you. I hope it is just enough since they keep trying to make your life a living hell smh. I can only imagine what they will come up with next. You are a great artist Justin, and maybe the news will mention that next time when they mention you. I wish there was a way for you to hear how your fans really feel about you personally. Who knows maybe you will even read this blog!! If you do Justin just know that I really really love you!! Can I please, please, please just talk about how much I love tattoos? Ok, ok. I love tattoos, I love Justin Bieber so if you add that up, I love Justin Bieber with tattoos. I do not think I have seen a more beautiful person. Do not get me wrong, Justin before the tattoos was still extremely beautiful. But he looks HOT! Like blazing HOT. Oh My GOD! Me and my fellow beliebers definitely think Justin moving into this “badboy” realm is perfect! Just perfect. 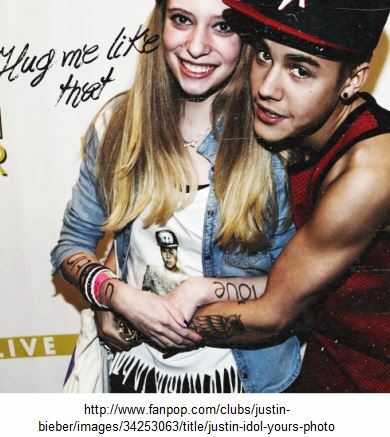 Let us start with the believe tattoo he has on the inside of his elbow. This is probably the most perfect tattoo to get. I mean honestly we are #beliebers, his album is called Believe, he wants us to believe and follow our dreams. Why not get it tattooed to make it permanent right? It is just so perfect. I cannot wait until I am old enough cause I am definitely going to get believe tattooed on me! So as a believe I know for a fact that Justin Bieber is very religious. I mean his mom is really, really religious, so I am not surprised by the tattoo on his left calf. Actually, I expected this tattoo. On his left calf is the praying hands. We all know that Justin has very religious beliefs so this is a tattoo that portrays that belief. I remember seeing this the first time when he went fishing with Selena Gomez. I am really religious too so I love this tattoo so much. Plus it has roses, how great is that? On that same leg he has the Jesus in Thorns tattoo. I guess we can call that his religious leg – hahahaha. On his right collarbone is probably the most simplest, but yet most thoughtful tattoo! He has the year 1975 in roman numerals. No color, no flashing lights, nothing special. The thought behind though is beyond amazing. It represents the year that his mother was born.What a great son! His seagull tattoo on his left hip is the funniest, most awkward tattoo in my opinion at least. But it represents tradition. Justin Bieber’s dad and grandfather has the same tattoo which represents the cover art for the fable of Jonathan Livingston Seagull. Following tradition is awesome, so this is a great tattoo regardless of how funny it looks. By now, you should know that Justin Bieber is very family oriented! He cares for his family, loves his family and represents his family as much as possible. On his left shoulder is a Native American Chief that represents Justin and his grandfather’s love for Canadian hockey. The Native American chief is inspired by the mascot of a Canadian Hockey team that Justin and his grandfather watches every Friday! So thoughtful, I can’t. This is probably my favorite tattoo by Justin Bieber. Even though I am really young I love the King of Pop Michael Jackson, so this tattoo is so awesome to me. On Justin’s left collarbone is a crown that represents the late, great King of Pop Michael Jackson. What a perfect tattoo from the old King of Pop to the newest King of Pop! Perfect. Does Justin Bieber Ever Get Depressed? Anyway they were wondering if Justin Bieber ever gets depressed. I actually think that’s a legitimate question. Do you think Justin Bieber ever gets depressed? That’s a pretty tough question to answer, so I’m going to look at it from both sides. We’re going to look at the reasons Justin Bieber has to be depressed and not be depressed, and then we’ll decide from there on whether or not he actually is. 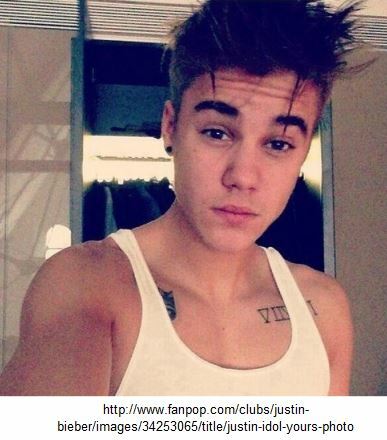 First, let’s go through all the reasons why Justin Bieber should not be depressed. Now, where do we begin? That’s the question. Justin Bieber has so many reasons to not be depressed. Let’s start off with the obvious, his money. Justin Bieber has more money than anyone can even imagine. He can literally get anything he wants. He never ever has to worry about when his next paycheck is coming, like most people in the world today. He doesn’t have to beg his parents for those new pairs of Jordan’s or anything that a nineteen- year-old boy would want. He can get whatever he wants. Also, when I say he can get whatever he wants, I mean it. It doesn’t only mean he can get anything money can buy. 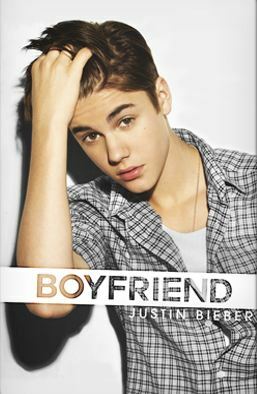 Justin is a young man who probably likes to chase around girls like any other 19-year-old boy does. The only difference is, Justin doesn’t chase. The girls chase Justin. This would be any boy’s dream! Justin has it so easy when it comes to women. He can pretty much get any girl he wants (except Selena. LOL). One last thing I want to bring up is that Justin can go anywhere in the world he wants. He has pretty much been everywhere one can possibly want to go. At 19 years old, he’s been to more places in the world than even the earth’s oldest people. Now, after hearing all of that, what could Justin Bieber possibly have to be depressed about? We’ll talk about that now. Although it seems like Justin Bieber has everything he wants as a 19 year old kid, he still has some very rough parts of his life that most of us civilians don’t know about. A celebrity like Justin Bieber, who has been famous since he was 14 years old, does not grow up with a normal childhood. 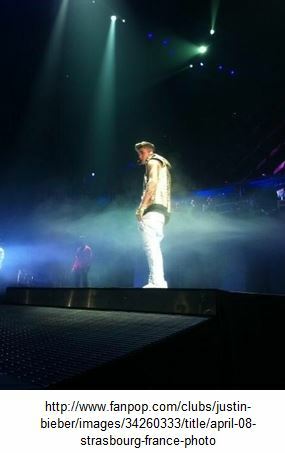 Ever since 14, Justin grew up under a spotlight. He couldn’t do anything without the world following him and his every move. There is absolutely no privacy when you are as big as a celebrity as Justin. Now at the age of 19, Justin is no longer the cute kid who is a good singer. He’s that rich, bratty teenager who gets everything he wants. People now are waiting and wanting to see him fall. This puts a lot of pressure on Justin, as he feels that he is no longer loved. Now Justin has to watch his every move to make sure bad things don’t end up in the tabloids. That’s not a great way of life if you ask me. This exemplifies what Justin Bieber has to be depressed about. Would you live Justin’s life if you could? I wouldn’t. They Just Keep Picking On Justin…Leave Justin Bieber Alone! It just never ends! The hate on my Justin just never ends! Everybody just always wants to keep being mean to him. All the news people and the magazine people always have to be mean to him. Its like they have nothing better to do! I mean oh my gosh! I can’t take it anymore, I can’t. There are always all these lies that come out of nowhere. I heard about how bad those things are and it’s just not true. I heard that it makes you crazy but my Justin is not crazy! He would never do something like that ever. They chase him all over the place and give him no space ever like omg! He also needs to change his car because everybody knows his Ferrari and they always follow him. People can be so bad sometimes. Not my Justin though. He’s such a good person and he loves his fans so much. He would do anything for them. He works so hard going all around the world and he never has any time to relax. He’s such a good person. I can’t believe they actually said he did drugs, It’s just not possible. He’s not crazy at all. He’s smart and handsome. He’s also like the greatest singer and dancer ever in history! Just don’t listen to them anymore Justin. Don’t watch the news or read the magazines because they always want to just lie about you and other things. Omg its so wrong! It’ll get better I promise. Just hang in there. I know how much you love your fans and how of a person you are so you don’t need to worry. Even all my friends know. We have your back and we love you so much!!! You should just keep working hard like you always do and when you get a chance take a long break. You deserve it. The haters will always hate. Just don’t care about it because its not true. That’s what I do. I get so sad when I hear bad things about you though and it hurts me so much because its just so mean and I know you would never do the things they say you do. Just wait it out and everyone will see you for who you really are, a great person. I know it like for a fact! Your’e a great guy and you would never do drugs so let them say whatever they want. 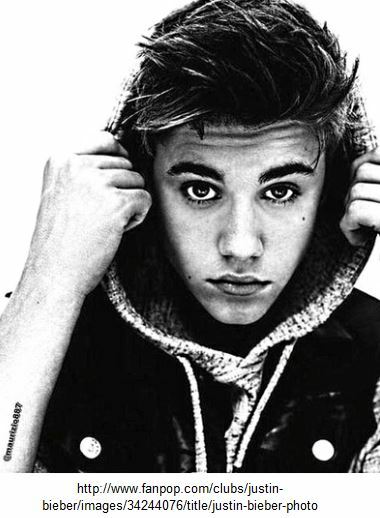 Love you Justin ahhh! Has anyone else heard this drama about Justin Bieber’s twitter title being called into question? There is this website out there that claims to be able to identify “fake” twitter accounts and they are saying that Justin Bieber’s followers are fake (that just sounds like an insult toward Beliebers and not based on any facts but whatever) and that Lady Gaga should still be number one. Well, I’m sorry, but Justin Bieber will always be number one so let’s just slow this down before someone says something stupid that they can not take back. Let us take a look at what defines a fake twitter. These people claim that if your account only has a few followers and you are only following a few people, then your account is fake. I have a friend, totally real person, who only set up a twitter so that she could learn how to use it, but doesn’t let anyone follow her because she doesn’t want to feel like people are watching her learn. I get that. It’s like the painful humiliation of watching your mom think that a celebrity actually accepted her friend request on Facebook. Like, mom, that’s not how this works. Let’s not even get into what she thought I meant when I asked her who she shipped on a TV show. I wanted to know who she was rooting for for true love. It had nothing to do with the rising cost of stamps. Ouch. Anyway, I can understand limiting your use of twitter while you are getting the hang of it. Aside from adding to her skills, my friend really only started it to follow a bunch of celebrities, not people she actually knew. Again, this is something I totally get and does not imply that her twitter is any less real than anyone elses. I mean, it’s like the guy in that movie said: “Roman got a coke zero at the gas station and is having an ok day.” Who cares?! Now, when Justin Bieber tweets the same thing, I think to myself “what does he mean ‘ok day’? I hope things are getting better. Maybe he’s just quoting the movie! Oh Justin, you are the best.” Following celebrities on twitter is way better than actual people. Well, unless you are a person obsessed with a celebrity, then that is cool to follow, too. After all, fangirls are basically an extension of the celebrity himself. Anyway, Justin Bieber is still number one, not only based on talent, but on twitter as well. The logic behind defining a fake twitter account is flawed as I have just proven. Ha! I win. For Justin Bieber. Yes! This is like a vote recount over twitter. Get over it. We are not talking about an elected ruler. Besides, Justin Bieber was born in Canada so it’s not like he could become president of the United States but that is another debate for another day. Who knows, maybe I can poke holes in that story, too. Justin Bieber is number one!